Spanish Gold That Fostered American Liberty! Strange as it may sound today, America's first official legal tender gold coins weren't American at all -- they were Spanish! However, when you think about it, it makes perfect sense. As a newly independent country, there was little time to organize the striking of hard currency. So, as a result, daily commerce in the early years of the United States was conducted using gold coins produced by foreign governments. 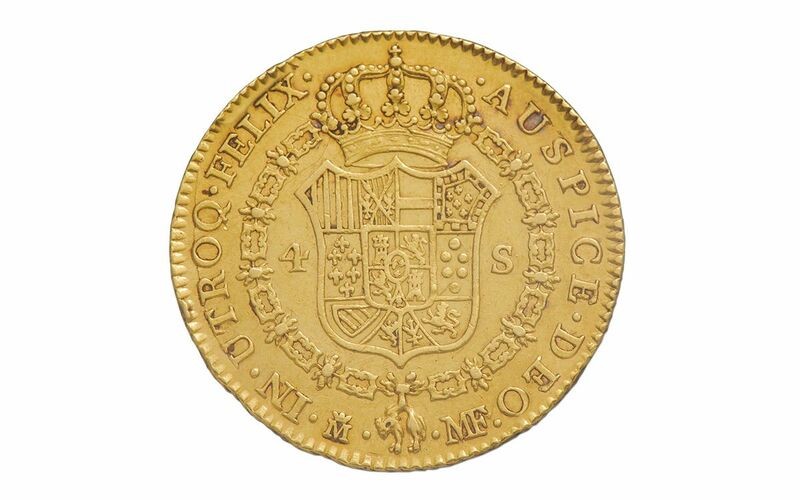 One of the five gold denominations struck by Spain and circulated in America, the 1 Escudo lined the pockets and cash boxes of colonists throughout the young country. The Blueprint of U.S. Currency, a Vanishing Relic! Together with its four golden brethren, the 1 Escudo became part of the model for American currency, serving as the forbearer to the $2.50 Gold Quarter Eagle. 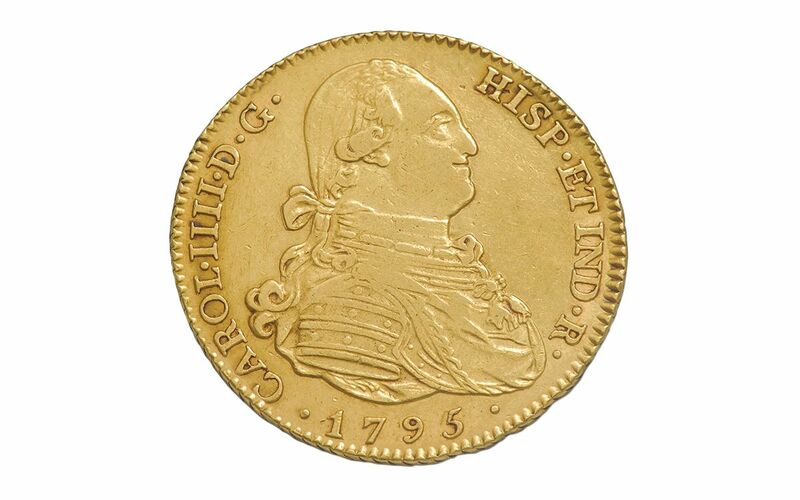 The Spanish 1 Escudo would remain U.S. legal tender for more than 81 years until 1857. However, in the days before the famous gold rushes of the 1800s, many 1 Escudo coins in circulation were melted down to produce U.S. coins. That's the main reason why only an estimated 1% of the original mintage is still in existence today! Very Limited Quantity, a Must-Have for Your Collection! Fortunately, our buyers have located a small number of 4 Escudos coins from 1772-1820 -- the years that they were highly prized in colonial and post-independence America. Order now and we'll choose a Portrait 4 Escudos from the reign of either King Carlos III (1772-1788), King Carlos IV (1788-1808) or King Ferdinand VII (1808-1820) to send directly to you. 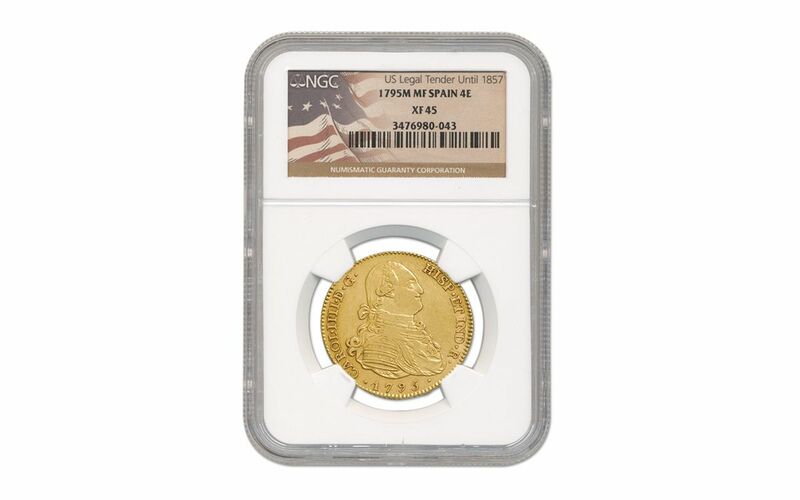 Your coin will come graded Extremely Fine (XF) by Numismatic Guaranty Corporation (NGC), sonically-sealed in an acrylic holder along with an exclusive "Legal Tender Until 1857" label. In addition, your coin will arrive in a specially crafted wood presentation case along with a Gold Escudos story booklet and checklist. 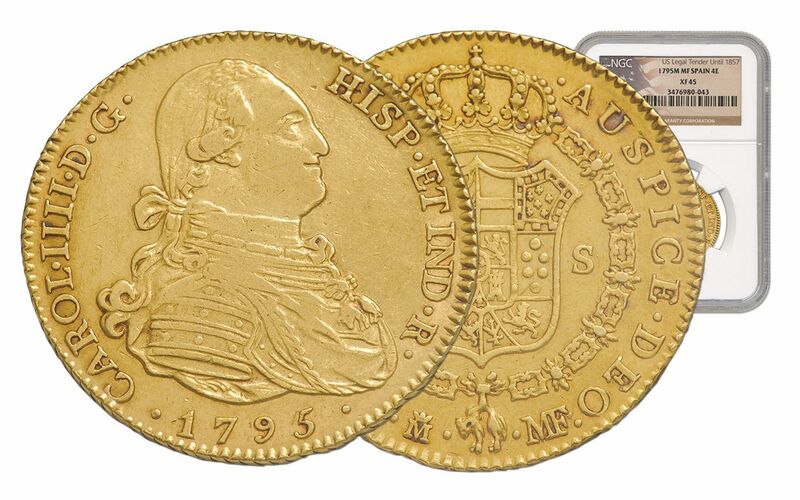 We only have a few of these Gold 4 Escudos coins in our vault. Due to their exceptional condition, we're not expecting them to stay ours for long -- make one yours today!